The Equity and Campus Diversity Office, in partnership with the President's Council on Equity and Campus Diversity, sponsors Equity and Campus Diversity Program Grants. The college mission statement states that the goal of the college is to empower a diverse population of students to succeed as citizens of a challenging world. To support the mission, the Equity and Campus Diversity Program Grants will provide awards of up to $500.00 for projects, workshops and activities that infuse diversity, global issues, and different perspectives in curriculum and extra-curricular activities. (Projects of superior merit that are directly related to diversity in the curriculum may be funded for up to $1,000.00 with sufficient justification.) Awards are contingent on available funds and approval by the President. The project reflects the college commitment to diversity as expressed in the SUNY Buffalo State Strategic Plan 2016-2021. Mission: "Buffalo State is a diverse and inclusive college committed to the intellectual, personal, and professional growth of its students, faculty, staff, and alumni. Our mission is to empower students to succeed and to inspire a lifelong passion for learning.  Buffalo State is dedicated to excellence in teaching, research, service, scholarship, creative activitiy and cultural enrichment." The project reflects a commitment to the college core value of respect for diversity and individual difference. Projects that improve offerings in Intellectual Foundations/General Education diversity courses. Projects that expand international and multicultural aspects of the curriculum in an academic discipline. Projects that increase out of classroom experiences for students with diverse people and communities locally and throughout the world. The project must have the potential of having an impact upon a significant portion of the campus community. The project is clearly defined with an easily identified starting and ending point. The project has specific activities, specific goals. The project has a clearly described evaluation plan and measurable outcomes. Project activities must be open to all students, faculty, and staff at Buffalo State and cannot be limited to in-class presentations. The project must be announced to the campus at least 10 days prior to the scheduled event including announcements in the Daily Bulletin and the student notification system. All announcements must clearly identify the Equity and Campus Diversity Office as a contributing sponsor. Guest speakers on a diversity or global topic in a discipline or curriculum. Projects intended to infuse a diversity of ideas, perspectives and/or values into the curriculum. Projects that expand the inclusion of issues related to race, ethnicity, gender, persons with disabilities, national origin, religion, sexual orientation, gender identity or other areas related to diversity, in curricular and extracurricular offerings, programs and activities. Applications must be submitted to the Equity and Campus Diversity Office, Cleveland Hall 415. Review of applications will begin upon receipt. Special Note: Applications must be submitted at least 4 weeks before the scheduled event. The project review dates are October 12, 2018, and February 8, 2019. For more information, contact Michael Heflin, Director at (716) 878-6210.